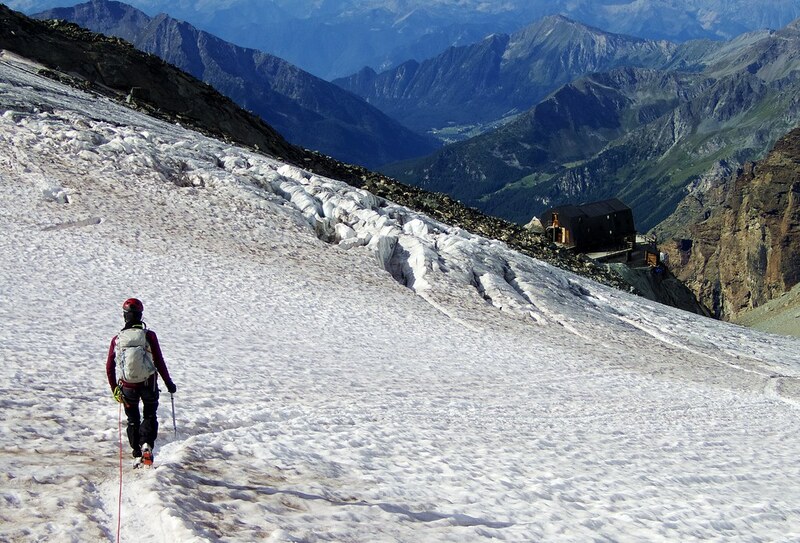 After a proper alpine start at 05.15 we made it up to Pollux, 4091 meter, just after sunrise. Here we have the last meters of glacier left before stepping back onto firm ground and a knee-breaking 1800 vertical meter hike back down to the valley. A beautiful morning for sure!